Reflections and Ruminations: The problem with praying only when there is a feeling. The problem with praying only when there is a feeling. Frequently when I hear confessions, I like to ask the penitent on the other side of the grille to give me an indication of their prayer life and the regularity of their prayer. The reason for this is because it gives me an idea of the effort and desire of the penitent to live a life of holiness. To be sure, there are a host of attributes and attitudes that one can nurture in life that indicates in some way one’s desire for holiness. Prayer, the desire for prayer, and the disposal of one’s life to prayer are often a good indication of this. Of course, their answers are never the same, but oftentimes, the remark that follows are variations of “but I find it hard to get any feeling when I pray”. Therein, I believe, lies the main issue at hand for many when it comes to prayer. Prayer has much more to do with love than with feelings or sensations or moods. It seems to many that it isn’t natural to associate prayer with love. I beg to differ. Love has everything to do with prayer, because prayer is and has to be first and foremost our overture of love to God. But because a vast majority of people find my question to be strange or disturbing, it gives me good reason to believe that when they were first taught to pray, there was very little emphasis by their teachers (or parents) that prayer is essentially our love relationship with God. There is hardly any issue though, when it comes to petition as an intention to pray. Conceptualizing God as almighty and omnipotent, it isn’t unreasonable to then see God as the ultimate fulfiller of wishes, hopes and desires. It is this aspect of God that gives us so much confidence to place our needs before him. However, a lot of people hardly make much inroads into prayer from that point on, and end up seeing God as a mere granter of wishes and hopes, not unlike the way Aladdin summons the Genie by rubbing the lamp. Of course, I run the risk of sounding ridiculous by saying this, but if one is only going to God to have one’s desires fulfilled, one can begin to turn God into a personal genie, whose command seems to be the wishes of the one who prays. But when love becomes the starting point of prayer, and the raison d’etre of prayer, it truly becomes the game changer, especially when we define love in the Thomistic sense, which is to will the good of the other as other. My reason for going into prayer will not be predicated on how good or elevated I am feeling if my reason to pray is to convey my love for God. Of course, there may be times when God deigns to grace me with a sense of closeness where I do feel his presence in my life, and they do make prayer not only easier, but an experience of delight and elation. I will be praying more for these sensations than for the sake of conveying my love for God if the reason I pray is to have more of such experiences, making my praying an effort that is more for my own sake than for God’s sake. This would change the Thomistic definition of love to being “willing my good for my sake”. Fidelity is always going to be a challenge because at the heart of fidelity is the promotion, elevation and love of the other despite gaining nothing for ourselves. Spousal fidelity works on the same principle – where one is willing to to be faithful whether the times are good or not, whether one is in a state of health or in a sickly state. It is a love that abides “no matter what”. 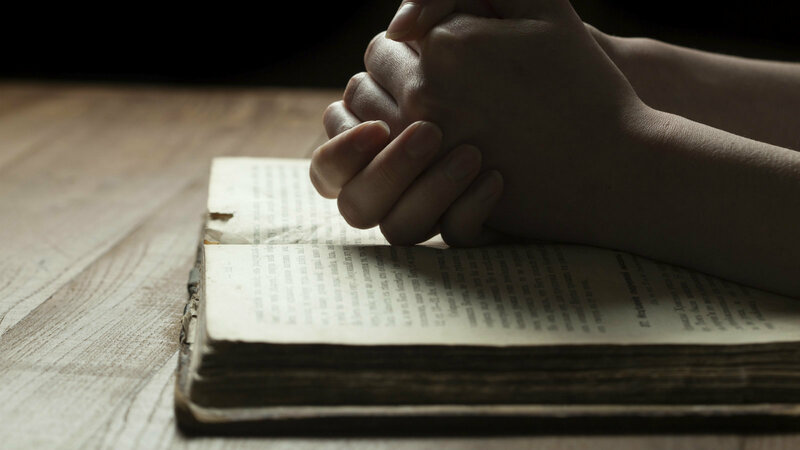 Fidelity to prayer needs to be broached in the same way. Whether we are graced with good sensations or feelings or not, it shouldn’t affect our regularity in prayer. When we are clear that we are praying with love, and for the sake of love, it sets the framework and foundation of our prayer. Fidelity runs directly against the grain of the way the modern and utilitarian world works. As long as one isn’t getting any benefit from anything, be it a venture, an investment or a relationship, one should abandon the enterprise altogether. Marriages can fall apart easily then, because one spouse will feel shortchanged when the love they give isn’t reciprocated or given back in a greater way. Applied to our prayer life, then it easily explains why one stops praying the moment one doesn’t get those ‘fuzzy’ feelings anymore when one prays. St Theresa of Calcutta’s prayer life is probably well known by now – that for years serving God in the way she did, she obtained no insights, no consolations and little affirmation from God. She was, so to speak, praying in the dark. But she was faithful, and showed up daily in her meditation. What she was doing every day was this – she was showing great love. Our keeping of our daily appointment with the Lord in prayer reveals this as well, whether we receive good sensations or not. Love, after all, is a decision and an act of the will, and much less a feeling. I like your take on this......because on reflection, it would mean - to will the good of God -(who is Good-ness itself!) Would that mean I would also love or embrace whatever God loves? Definitely. So it would not be seeking holiness for holiness sake but for love of God’s sake, ..........which means I would automatically love my neighbour! It seems so simple but that doesn’t mean it’s going to be easy. So, to love God, for His sake .........it is clear then that the spiritual journey of prayer is done not by analysing God or thinking about God or having gushy warm feelings and emotions about God - but by being in His presence as often as one can/need, opening our hearts to His Spirit of Love. However, like what you say -the catch is in the fidelity to prayer .This will be a great challenge and it will call for discipline, courage, gentleness and perseverance. Thank you for sharing your thoughts, challenging your readers to exercise their grey cells.